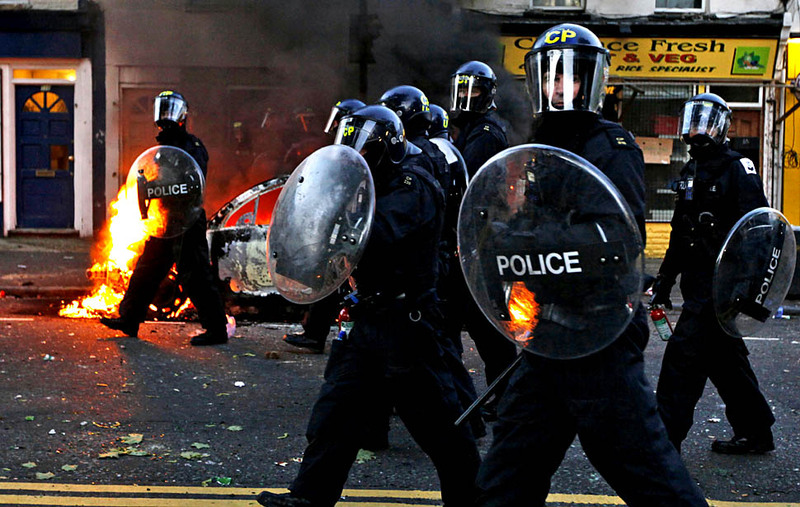 Riot police deploy in Hackney, North London, Britain, 08 August 2011, during the third day of violence in which Police have clashed with rioters in Hackney and vehicles have been set on fire in Peckham and Lewisham. This follows two nights of violence over the weekend after the police shooting of a man in Tottenham. More than 200 people have been arrested and 35 police officers injured. Violence erupted in reaction to a fatal shooting incident in Tottenham, in which a policeman was injured on 04 August and a local 29-year-old man named as Mark Duggan killed by armed officers.